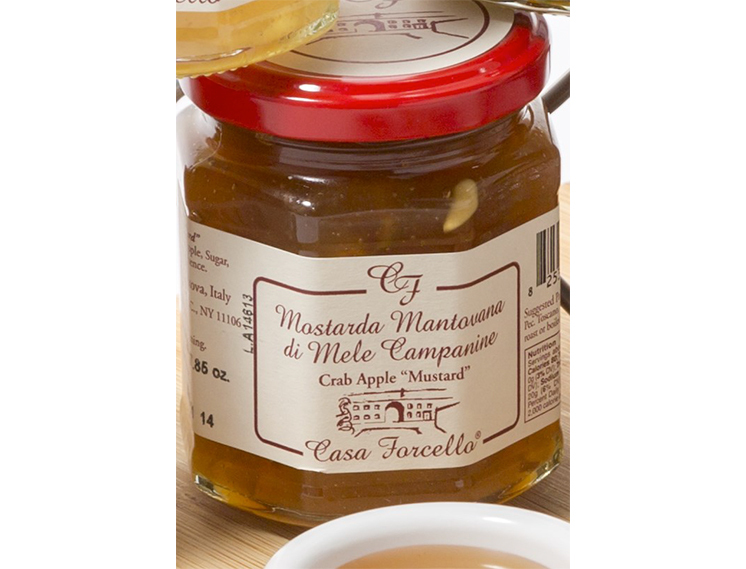 Crab apple mostarda is a sweet and spicy condiment made by candying fruit and adding drops of concentrated mustard essence to the juice. It is produced in small batches using seasonal, fresh, ripe crab-apples. Mostarda is wonderful paired with sheeps milk cheese, boiled & cured meats, and game.